Kichelle views her position at LSS as more than a job, but her 'purpose' in life. 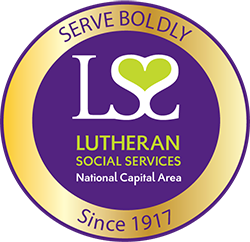 She has been with Lutheran Social Services since 2012; initially as the Director of Adoption and Foster Care Services and currently as the Vice President for Administration and Programs. Kichelle earned her Bachelor of Arts in Sociology from Rutgers University and her Masters of Social Work from Howard University. She has 20+ years of Child Welfare experience and is clinically licensed to practice in the State of Maryland and the District of Columbia. She has served on the Board for the Consortium of Child Welfare in DC for many years. She served as the board treasurer for 2 years and currently serves as Vice President. 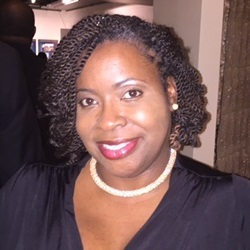 Kichelle has focused her entire Social Work career on positive outcomes for children and families and has participated in a year- long cohort with the Annie Casey Foundation in Developing an Outcome Driven Culture in Non Profit Programs, and has participated in their year-long program on Results Based Leadership. Kichelle seeks to continue her journey ‘in service to others’ by making a greater impact on the health and well-being of the families and communities served through LSS/NCA for years to come. She believes that "Working for LSS/NCA is the work of the Lord and reminds me daily that my living is not in vain."